*Cough* *Cough* Sore throat? There’s no better way to relieve a scratchy sore throat that with Vicks Vapour Drops! 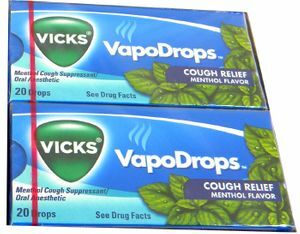 As much as we hate being sick, it isn’t quite as bad knowing we’ve got Vicks cough drops on our side, don’t you agree? Vicks is known for their soothing effects on a congested nose and a sore throat. That same soothing effect shines through in our selection of digestible Vicks drops. 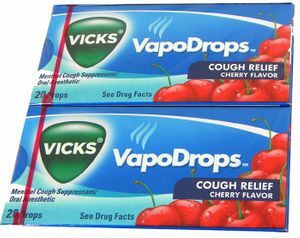 Goodbye yucky cough drops, hello VapoDrops! In two distinct and tasty flavors, Cherry and Menthol, there’s a flavor for all, making Vicks cough drops a truly delicious and soothing treat.